Take a step back to the feel of the 60's with this mod flower power apron! 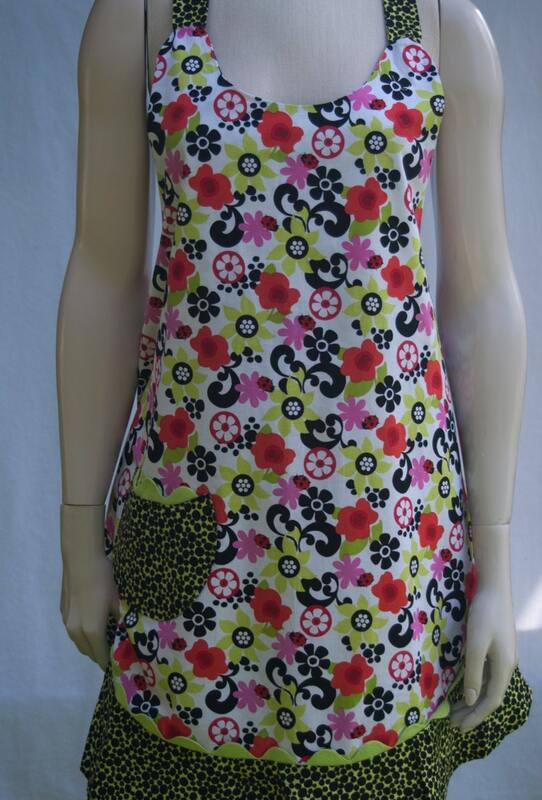 This apron features a bold green, red, and pink flower fabric, and a sassy green spotted print ruffle. Apron has a strap for your neck, ties for your waist, and a little pocket for extra storage.